Why you SHOULDN'T move to the Philippines. In making a decision to move to a foreign country, one has to weigh both the pro’s and con’s. Here at myphilippinedreams, we try to maintain objectivity and afford our viewers the information they need in considering to make such a move. Towards that end, let’s take a look at some of the reasons why someone probably SHOULDN’T move to the Philippines. 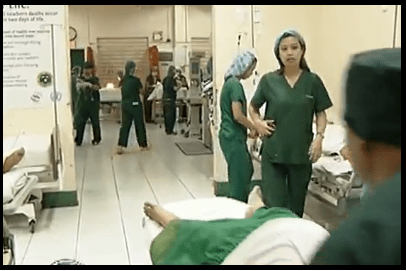 MEDICAL ISSUES: If you have a chronic condition that requires constant medical supervision, the Philippines might not be for you. Medications that are readily available in the West can be out of stock, or – if they are in stock – might be incredibly expensive. Also, your Western health insurance will not typically cover you in the Philippines. If something traumatic occurs, you will be required to cover the costs of any ensuing treatment and medications. Medical care is also typically not up to Western standards – doctor visits usually do not include checking vitals and they rarely take any type of medical history. HEAT AND HUMIDITY: To say it’s hot here, does it no real justice. This – by far – has been my biggest gripe with the Philippines. Once the sun comes up, the process of cooking and sizzling begins – and you don’t really start cooling off (if you can call it that) until around 4:30 PM. Night time temperatures in houses made of concrete and steel are also high – it might be 80 degrees outside at night, but in the house, it’s around 84+. If you are heat sensitive then, the Philippines (or any tropical country) might not be for you. SOCIAL VACUUM: If you are a social butterfly, you might find slim pickings for company here in the Republic, especially when you first arrive. Like anything worthwhile, It’s going to take time (and effort) to create a new social network, and you might find that the Westerners around you are a pretty independent lot and not that extroverted. You will make friends over time, but like I said, that initial period of not knowing anyone can be a bit disconcerting. 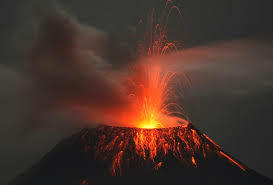 NATURAL DISASTERS: The Philippines is in the Ring of Fire – Volcanoes, earthquakes, mudslides, floods and typhoons regularly hammer the country, killing and displacing tens of thousands of people every year. The full power of Mother Nature is in effect here, and it is a heartless killer. Even if people are not physically harmed by these events, they might find that the nice house that they spent all that time and money on (along with all their belongings) is now a pile of crumbling rubble. CRIME: Opportunistic crime (burglaries, pickpockets, robberies) occurs here just like it happens everywhere in the world. Homes here are usually surrounded by razor-tipped concrete walls and gates, and windows (and other points of entry) are usually screened with steel bars. Murders also occur, with news of foreigners being targeted every year. Finally, there are also gangs (sometimes masquerading under the banner of political extremism) that will kidnap foreigners for monetary gain. GIANT MONSTROUS CREATURES: The Philippines has the record for the world’s largest salt water crocodile (20 feet long, 2,370 pounds) and python (23 feet long, 633 pounds) – both of them more than capable of murdering you. 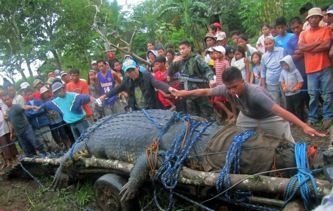 (Lolong, the croc, was actually captured after a fisherman mysteriously disappeared. The Republic also has giant spiders (Huntsmen), humongous flying cockroaches, dengue and malaria-infused mosquitoes, killer hornets and a wide selection of homicidal sea life (sea snakes, fire urchins, box jellyfish, etc. 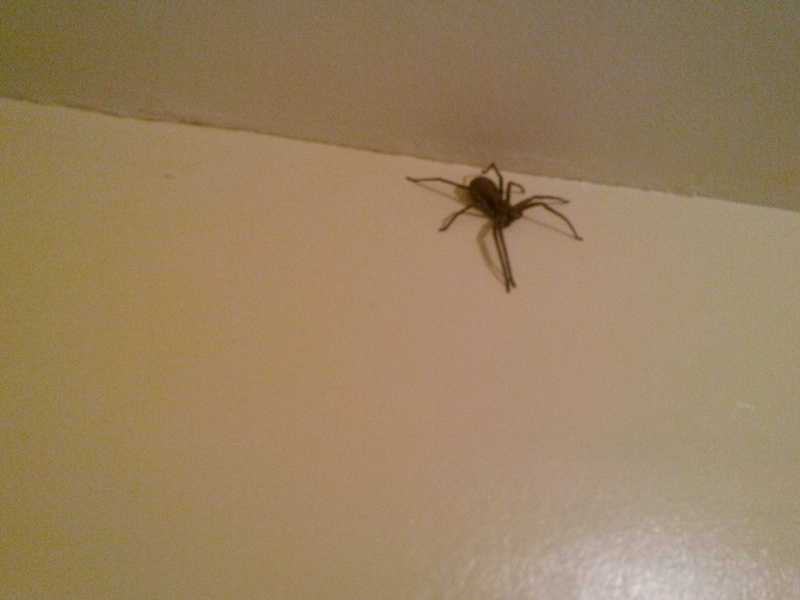 etc.. Here’s a photo of a Huntsman that I took just last night in the bathroom (sorry, CR) of Atong Kamalig restaurant. I showed it to Michell and some of the locals and all they said was “gamay” – that’s “small” in bisaya. Oh, dear God……. So, there’s a few of the reasons the Philippines might not be for you. In my opinion, the most important barriers to long-term living in the Republic are chronic medical issues and an inability to maintain a positive attitude in the face of the country’s intrinsic inefficiency. I will add more items over time and keep this list updated. If there is anything you would like to add, please feel free to note it in the comments sections and I will transfer it to the post. Im interested in living and opening a boarding house in the Philippines. Boarding houses a pretty popular investment opportunities here – just remember that as a foreigner, you cannot own land in the Philippines! Can a business owned by a foreigner own land there? In many countries there is a way around this requirement although not usually as good as just owning the land. Some guys purchase land through corporations they have set up here, but if a judge thinks that you are trying to purposely circumvent the land ownership laws of the Philippines, you could find yourself in a bit of trouble. But, if you are married to a Filipina such as I am. She can become what is called a “dual citizen” for $50.00 USD. Then “she” can own all the land and property you like! This is true!! Thanks Robert. Actually Ned, that comment was to help Michelle get “you” off the fence about setting a wedding date! She can thanks me later! LOL! So far, I love the Philippines. I’m going back this November. I am really enjoying your videos and you are commended on your hard work and the information you provide. My question is this: In three years if I decide on filing for early retirement at the age of 62 and planning on retiring with my Filipina lady and live in Davao. What I like to know, would I be able to keep my Medicare and pay for it while living in the phil since I would need medications that are worth 1000 dollars a month without Insurance, but now am only paying 18 us dollars through my Blue shield of California. That’s a tough one. You can keep your Medicare (as long as you pay for it) and what some people do is have their doctors write them a double strength prescription and give them a 90 day supply – that’s 180 days of meds after you cut the pills in half. You get two of those 180 day supplies and bring them to the Philippines with you (on person or BB box one of them) They they just go back every year to renew the scripts and get a new supply. That’s about he best you can do. Note that it is AGAINST THE LAW in the US to send meds through a BB box or through regular mail services. I am just reporting what some guys on expensive medications do. I am new to your site and your youtube channel but I am so impressed and excited by what I am seeing and hearing. Thank you so much for your effort. I am Irish but have worked in the tourist industry in Turkey for the past 6 years, so adjusting to foreign cultures is something I am used to. But to be honest a foreigner will never truly fit into the culture in Turkey, so I have decided to move onwards and upwards. I had a business in Turkey selling adventure tours online, http://www.experienceantalya.com and my hope is to do the same type of business in the Philippines. The Philippines seems to have everything to offer, and yet not many tourists visiting which is a concern. I expect to arrive at the end of November, so in about 6 weeks time. I have 2 questions if you don’t mind. Do you think there is a reasonable market for my type of business? (I am only asking for your opinion and would hold either of you to it). 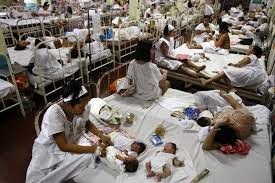 Regarding medical issues, is it possibly and affordable for a foreigner to buy health insurance in the Philippines? I would hesitate to invest in any sort of business here – it’s a convoluted system (revenue tax, social security, licensing, etc.) and be aware that foreigners cannot own businesses here. As far as health insurance, there is PhilHeath for $80 US a year (50 percent of in-patient hospital care) and also PhilCare, which covers more extensive services and is very reasonable in terms of cost. Blue Cross also has some health insurance plans that cover the Philippines. Thanks for the informative videos, as a frequent visitor to both Luzon and Oriental Mindoro I appreciate the insight of living vs vacationing. I’ve been able to retire early (in my 50’s), and choosing between Philippines or Dominican Republic to retire. So, my quick question is what islands/towns would you suggest over there to settle in? Also, where did you meet the lovely Michelle – like her banter! My best friend actually owns a condo in the DR. He likes it there a lot. As for the Philippines, I would recommend just making out a list of larger towns (Davao, Dumaguete, CDO, etc.) and traveling around to check them out. I personally find Dumaguete to be ideal – just the right size, easy to get out of and possessed of great electricity, good internet and decent restaurants. Hi Ned my name is Greg Walker I and my wife Liza of 23 years live in Kansas City. She is from Panoan island off Southern Leyte. We are planning to go there May 25 for fiesta. The way our trip is planned we would land in Cebu then take a super cat to Hilangos. With all the unrest there do you think it is safe to go. Or should i reroute. I feel safe in the Barrio everyone there is some kinda cousin and get along as well as any large family but it would be hard for an outsider to get to us. Honestly, Greg, I don’t know. I am not an authority on such subjects. Sorry I can’t be of more help. Food – typical Filipino food is heavy on meat and fat, and it’s hard to find vegetables. You can solve this by cooking yourself , spending more on better restaurants, or eating a lot of Chinese, but . . . Poverty – for some people it can get depressing to see so much poverty (including the dirty and starving dogs and cats), the numerous abandoned buildings, and the crumbling infrastructure. Despite all this, I love the country– mainly because of the people– and still am seriously considering living and investing there. Not to mention squat toilets and cold showers. Ugh! How much does it cost roughly to rent in the Philippines? Depends on where you are. 10K for my two bedroom in Dumaguete. More expensive in Manila and Cebu. Cebu city is just too congested for me. I couldn’t live there, but that’s just me.